Creating the healthy workplace, outlining a range of approaches to addressing organizational toxicity, including design thinking, positive psychology, and evidence-based approaches. 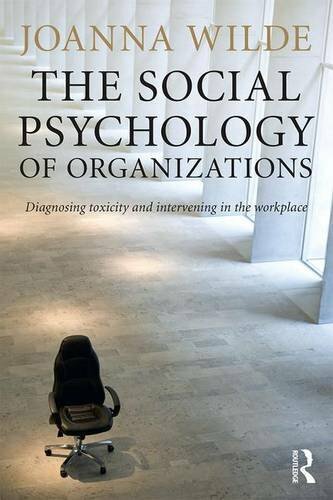 Written by a practicing organizational psychologist, and including case studies to illustrate how toxicity at the micro level can impact upon wider organizational goals, the book draws on a wide range of literature to provide an accessible, focussed understanding of how the individual psychological experiences of working people can have wider consequences for an organization, and how interventions within that process can address these issues. It is ideal reading for students and researchers of occupational or organizational psychology, organizational behaviour, business and management and HRM.